In this life, in this world, you would think that we might run out of ideas, or stories, or goals – that the human capacity will at one point exhaust itself, that all songs might be written one day. Well, clearly not so. 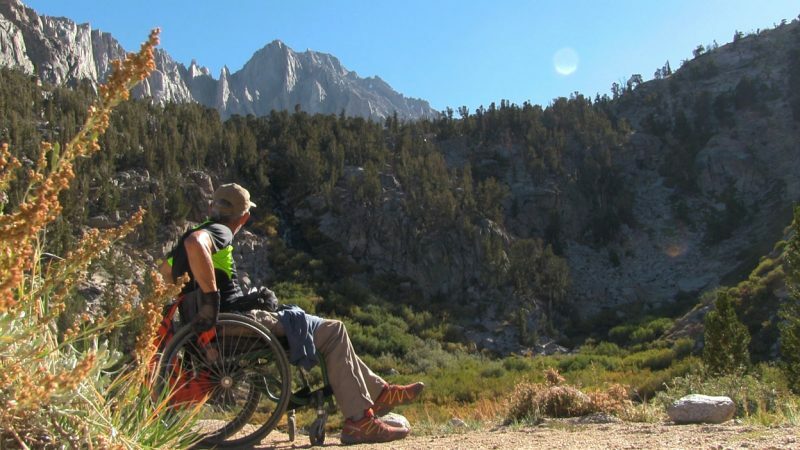 We’ve come across this incredibly wonderful movie, as slow as a wheelchair, and as deep as human inspiration can lead us – in this case up the mountain with a wheelchair hiker, into the heart and soul of the viewer. It’s called 4 Wheel Bob: A True Tale of Strength, Courage, and Wisdom. It’s filmed in the San Francisco Bay Area, where this show is produced, and it was nominated as one of the Bay Area’s most important Environmental Film Contributions this year at the San Francisco Green Film Festival. We are speaking with the filmmaker and the star of the documentary.